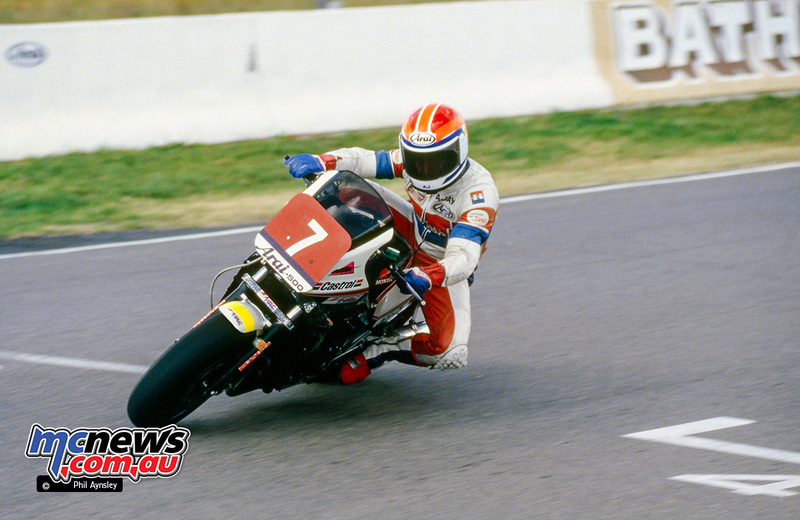 Phil Aynsley shares the on-track action and machinery from Bathurst in 1983 and 1984. 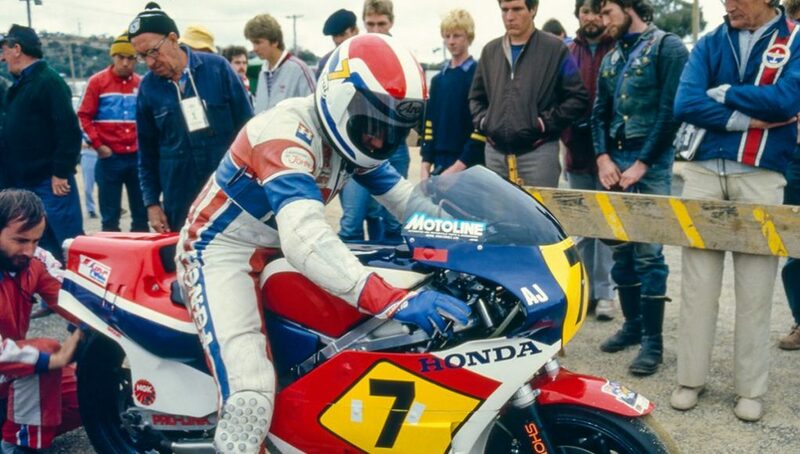 Andrew Johnson debuts the latest in GP machinery at Bathurst in 1983, the Honda RS500. 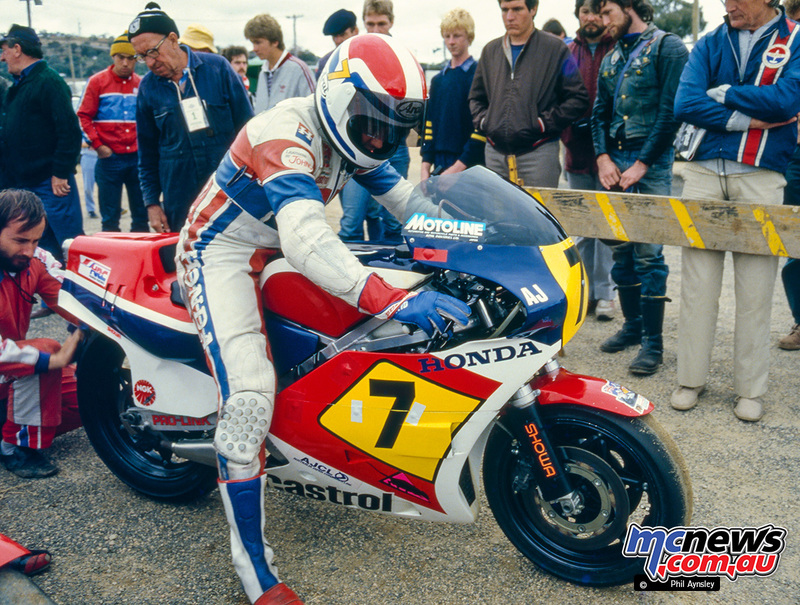 Bathurst 1983 – Andrew Johnson – the Honda RS500. 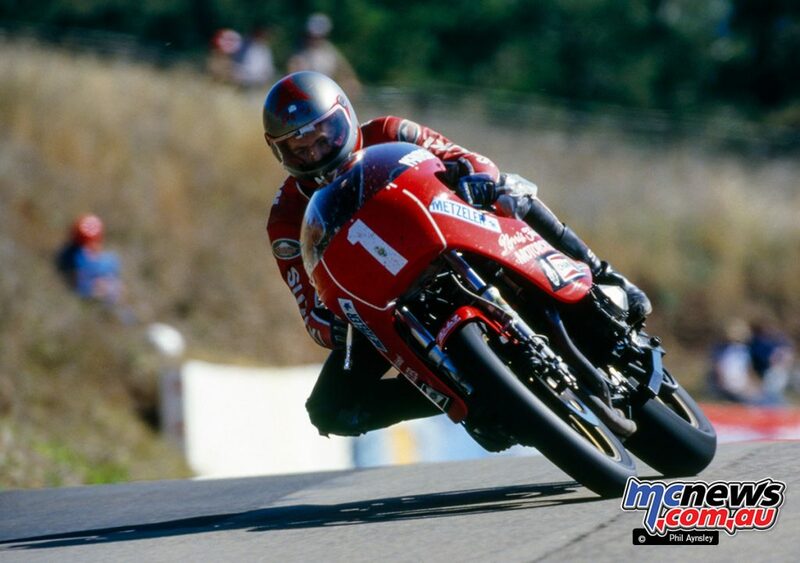 AJ on the Honda VF1000. 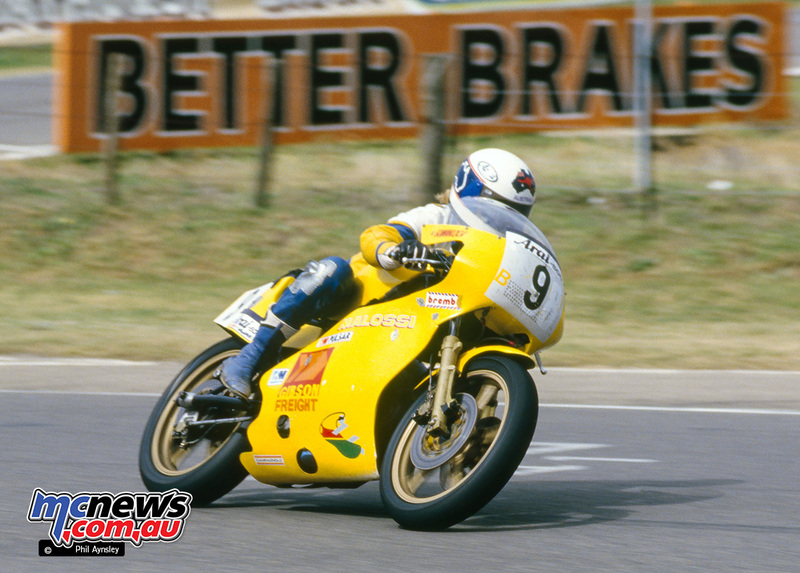 Bathurst 1983 – AJ on the Honda VF1000. 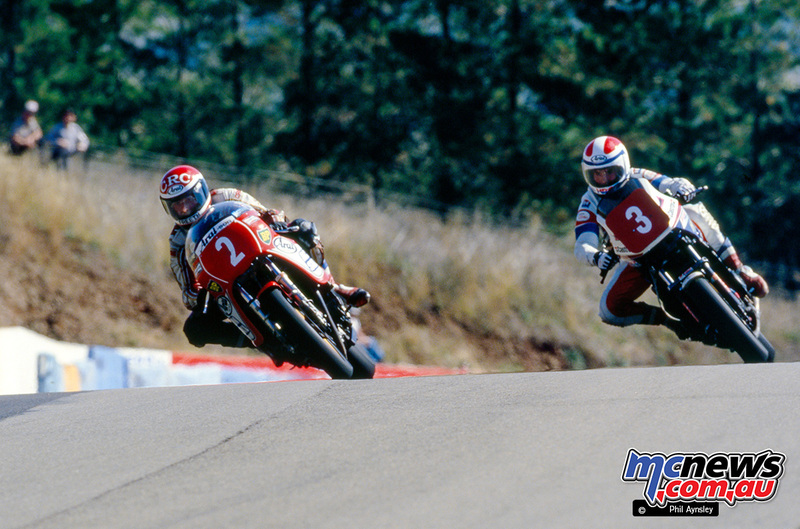 Barry Horner/Matt Griffin on their Yamaha TZ700 lead Geoff Taylor/Barry Frazer on the Yamaha TZ750. Barry Horner/Matt Griffin on the Yamaha TZ700. 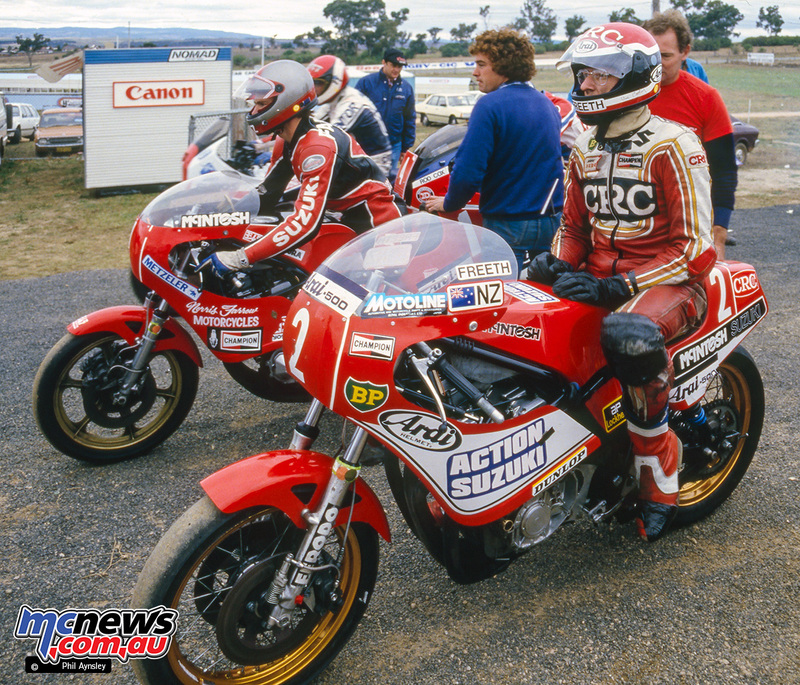 Bathurst 1984 saw Rodger Freeth #2 and team mate Norris Farrow #1 on their McIntosh Suzuki 1000s. 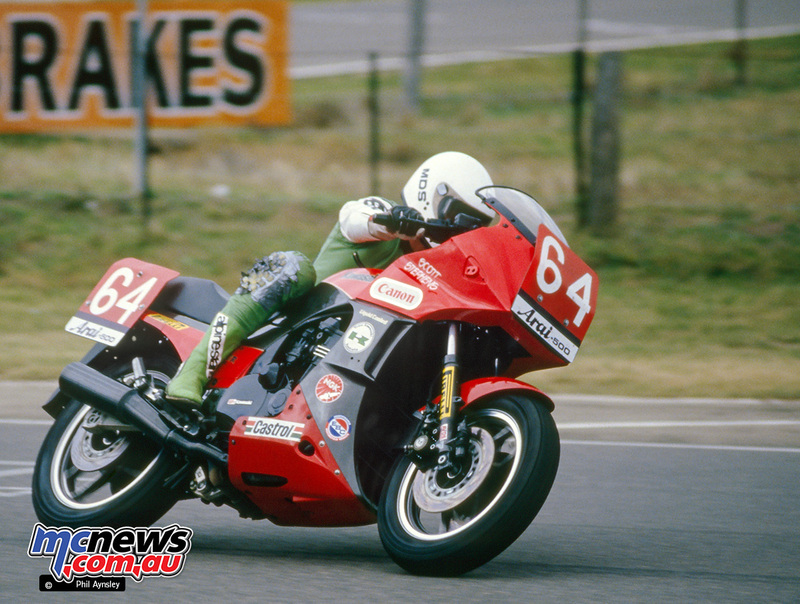 Robbie Phillis on the Kawasaki GPZ900. 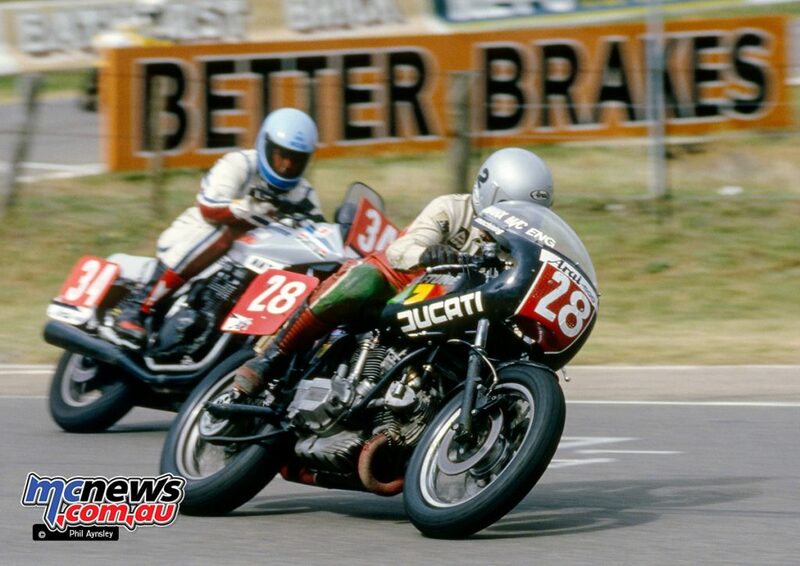 The Gowanloch Ducati TT2 680 with Arthur Davis (left) and the late Mic Safell (right). 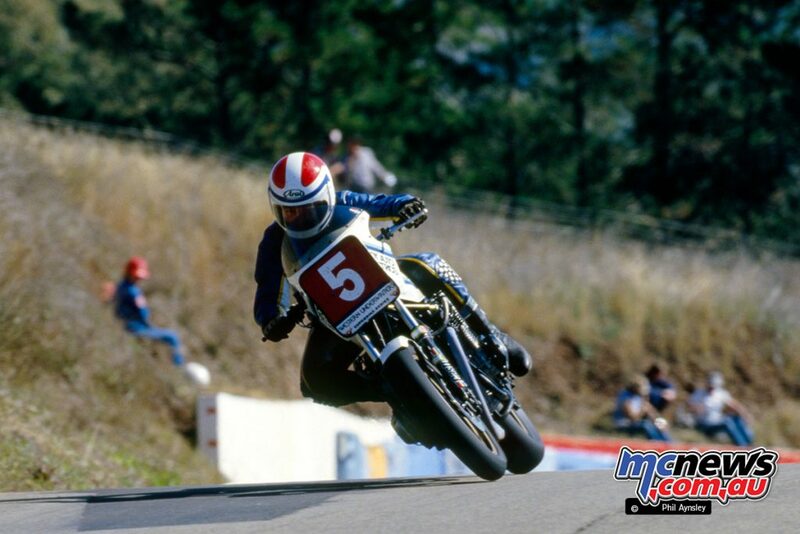 Jeff Sayle on the Yamaha TZ250. 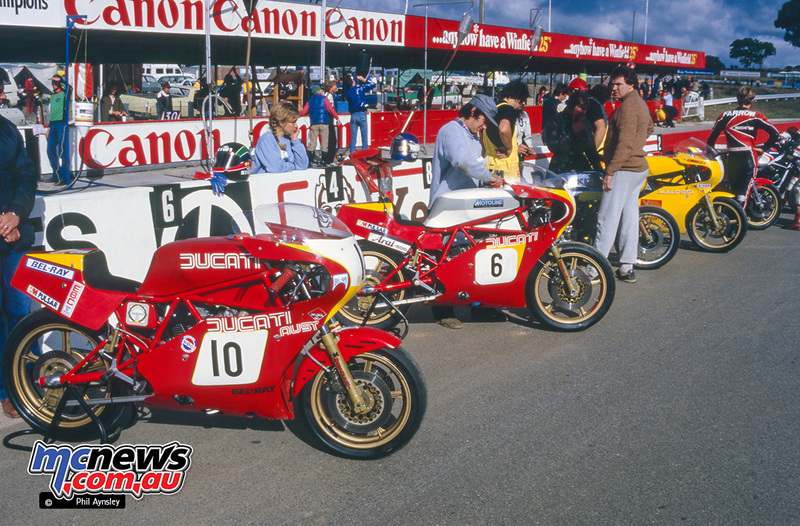 Line up of Ducatis before the start of the Arai 500. 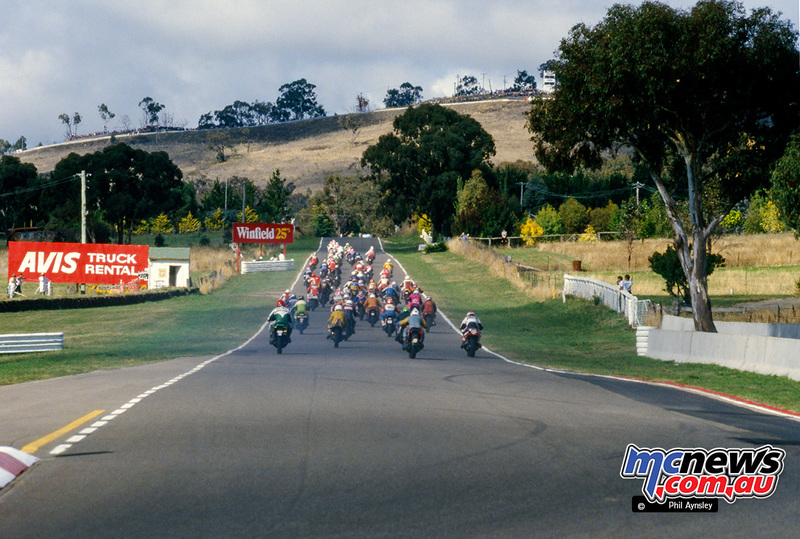 The field heads up Mountain Straight on the first lap of the Arai 500. 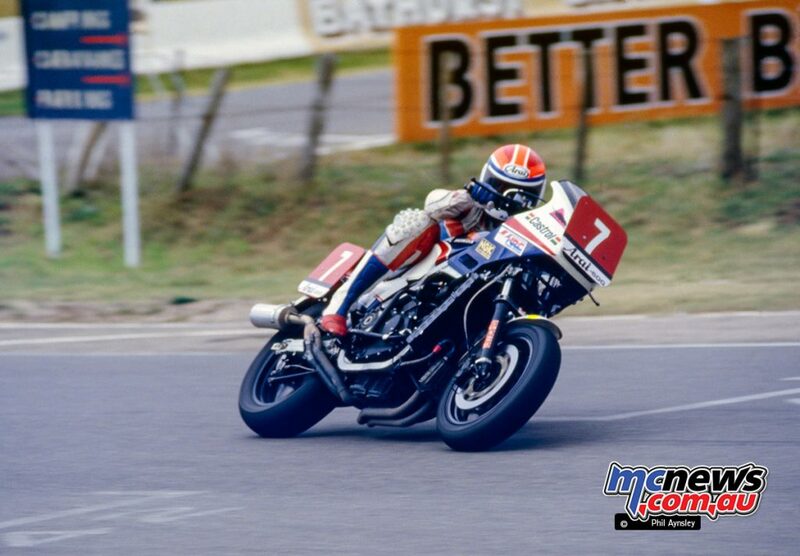 Rodger Freeth on the McIntosh Suzuki 1000. 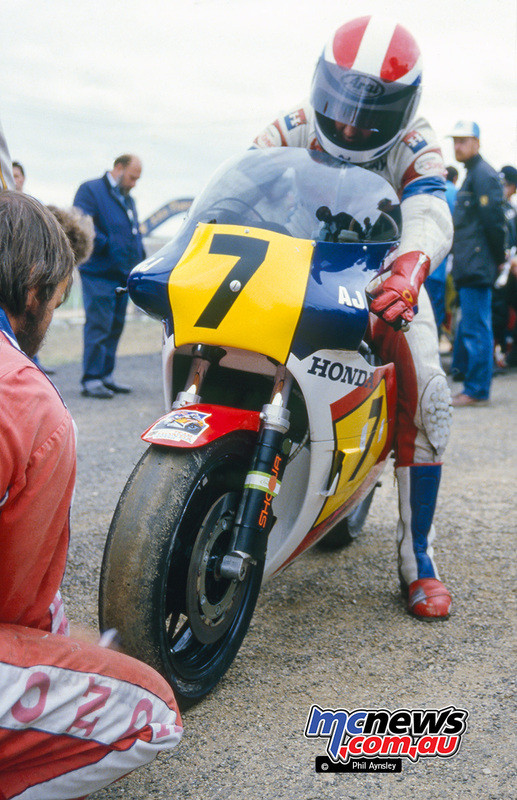 Rodger Freeth on the McIntosh Suzuki 1000 with Malcolm Campbell hot on his heels on the Honda VF860. 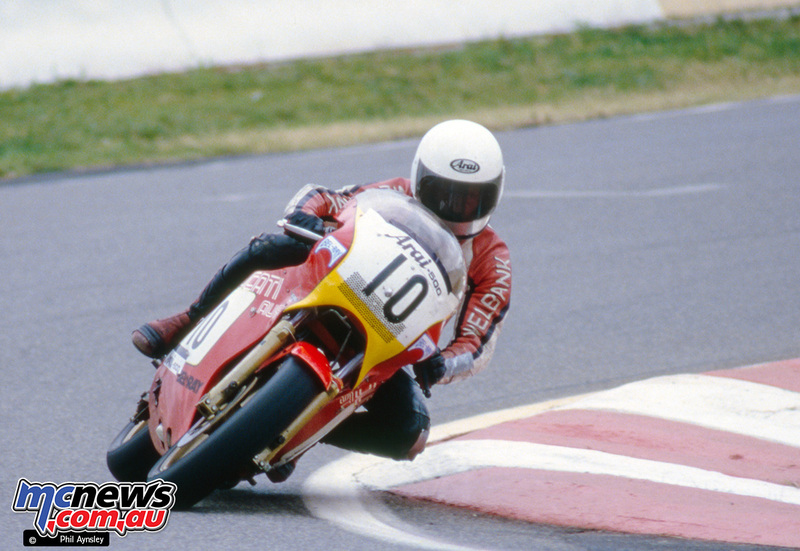 Norris Farrow on the McIntosh Suzuki 1000. 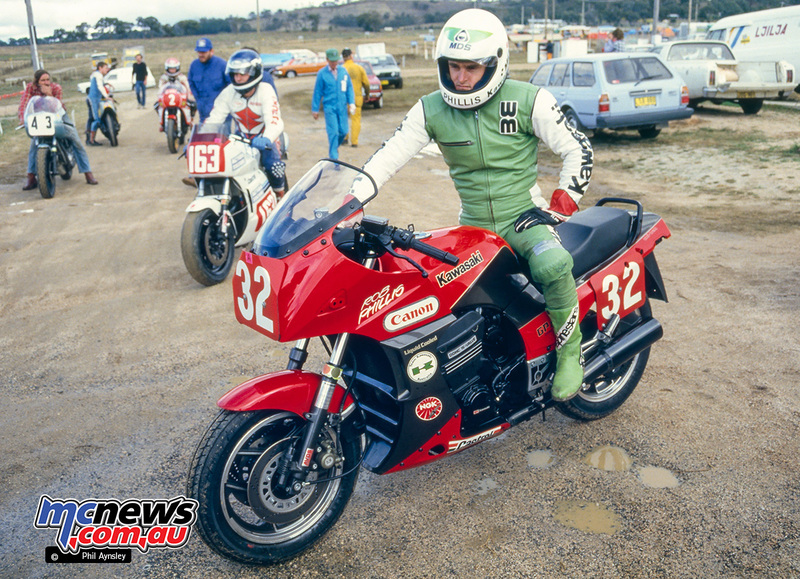 Alan Feely with his Kawasaki 1000. 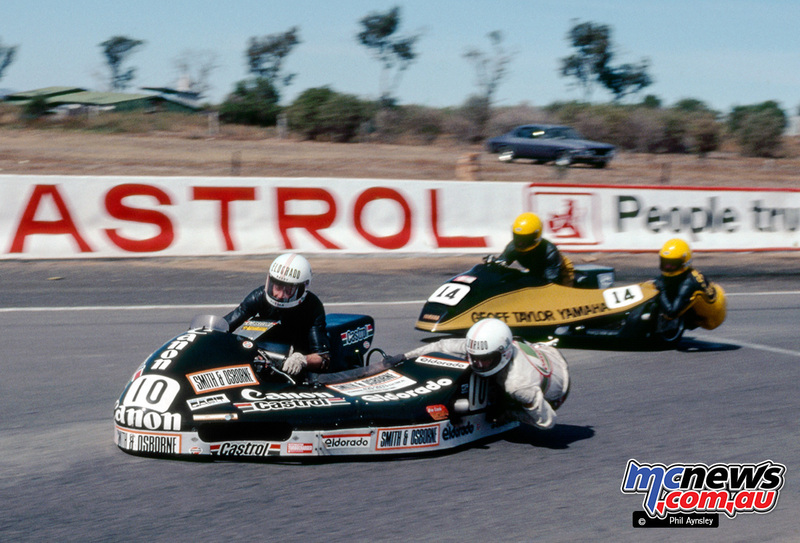 Rodger Freeth on the McIntosh Suzuki 1000, followed by Malcolm Campbell on his Honda VF860 and Alan Feely on the Kawasaki 1000. 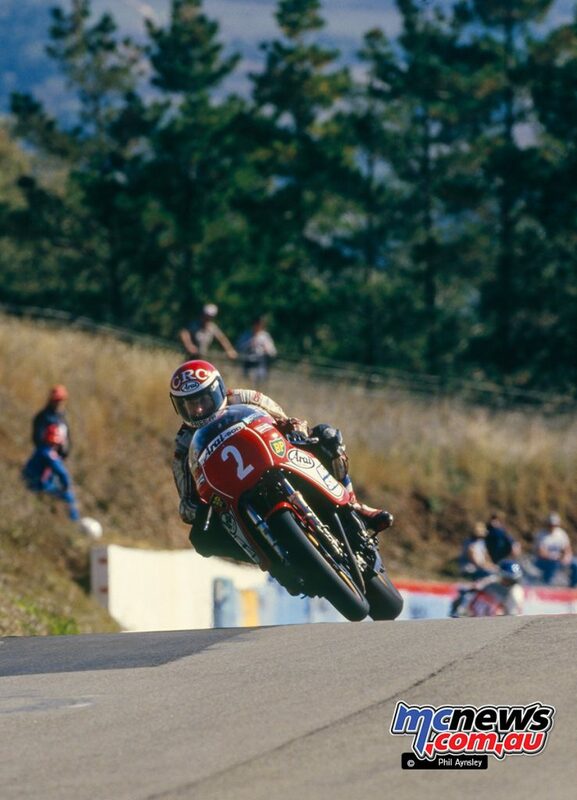 Peter McKay on the Ducati 600 TT2. 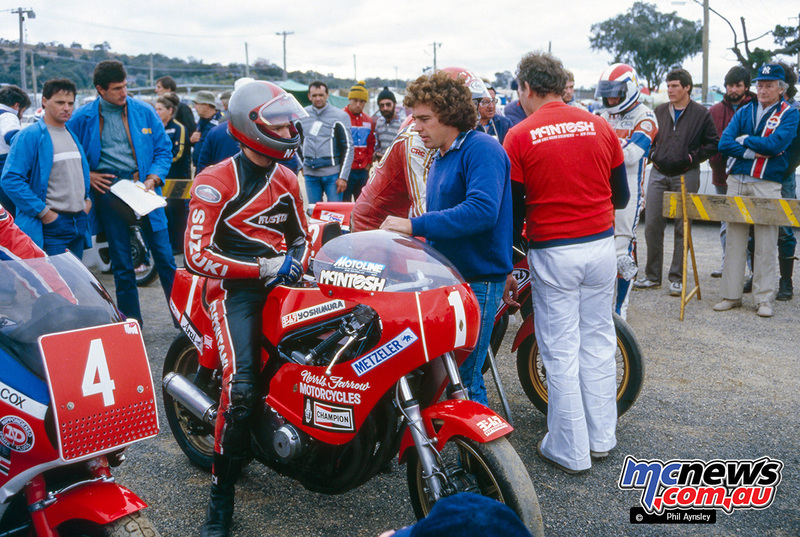 Rodger Freeth and the McIntosh Suzuki 1000. 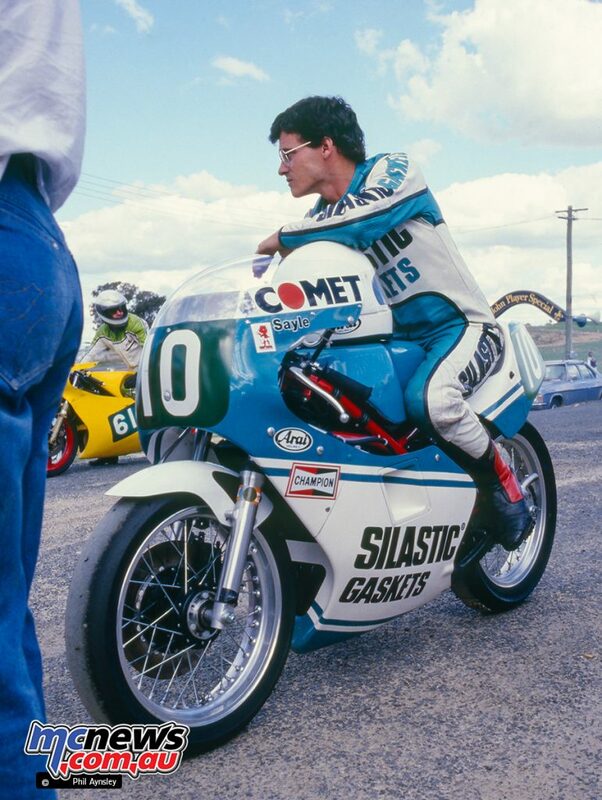 Robbie Phillis with his Kawasaki GPZ900. 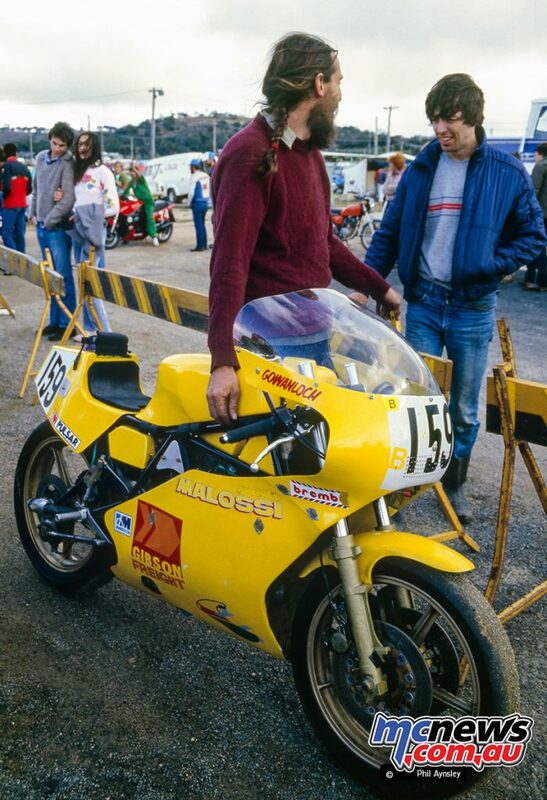 Peter Muir and the Ducati 680 TT2. 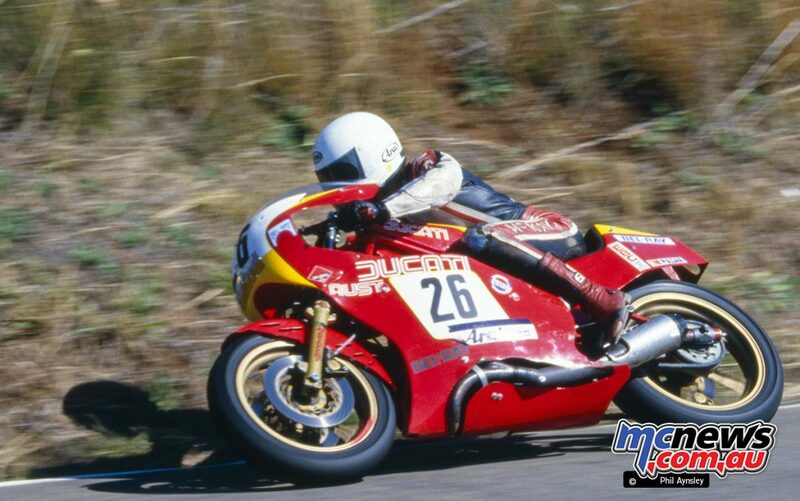 Peter McKay on another Ducati 600 TT2. Duncan Read on the Ducati 880 leading Neil O’Sullivan on his Suzuki 1000. 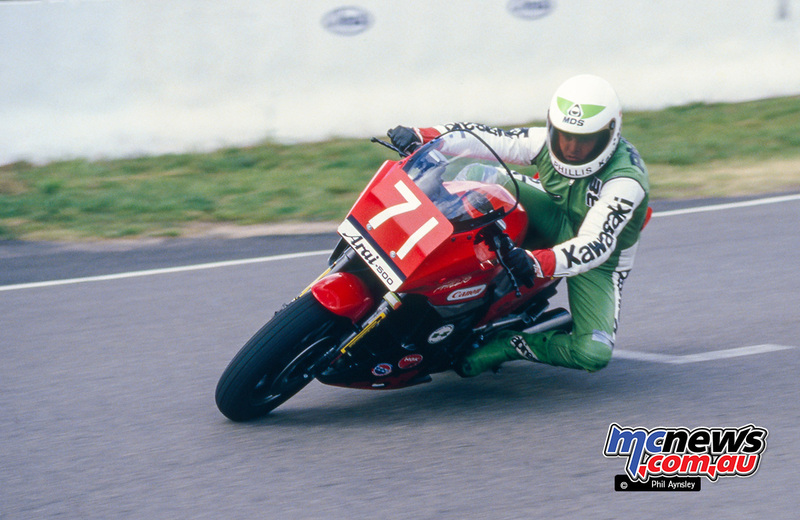 Scott Stevens on the Kawasaki GPZ900.